Not sure what's going to happen with this plot, I just want to stake my claim on it before I lose my opportunity to get in on some town action, since my dungeon shenanigans aren't going to keep me as busy as I had once thought they would. Long time ago, way back in the year 2010, before most of you were born, I made my first mod ever. It was, predictably, a house mod. 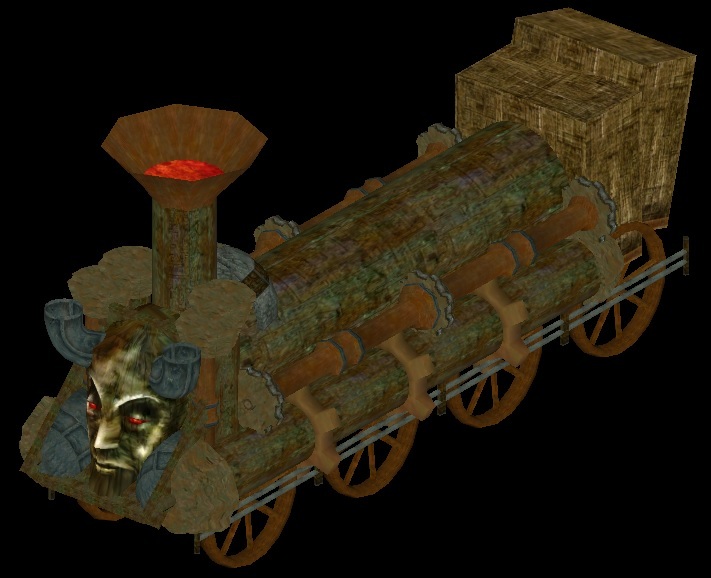 A house mod the size of Ebonheart, which crashed the game often, was very not tastefully-crafted, and generally made no sense. Expect shenanigans on the inside of this thing. I will enjoy this greatly. Heh, just the type of thing I'd like to see! Looking great so far, Autoclock! Looks both amazing and eccentric, I love it! That is one absolutely fantastic looking airship, I like the idea of the Telvanni getting some airship love too. Thanks. I realized that I'd never seen an airship made Telvanni-style, so I did it myself. It goes well with my tower, I think. For anyone wondering how it flies, its caretakers simply mix levitation potions in with its water supply. Which has me wondering why no ever thought of this before. 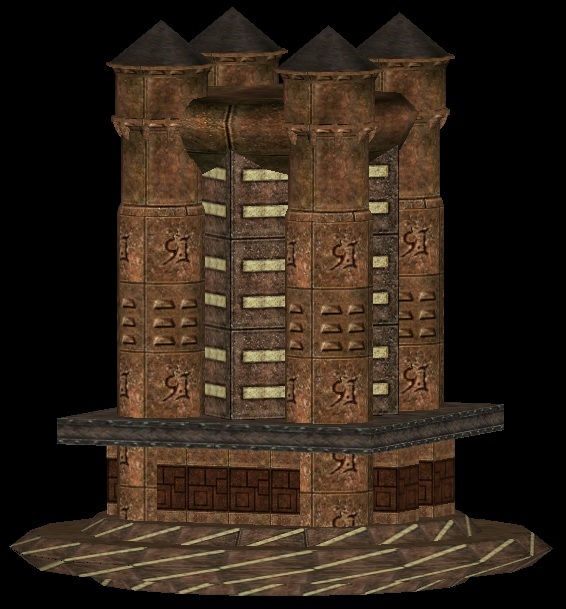 I mean, the Telvanni have been growing their homes out of the ground for who knows how long now, surely one of them must have had a clumsy servant that spilled a potion onto the floor and caused it to do something magical, like turn invisible, or summon a Daedra. I'm going to have to work that into my tower somehow. Obviously it looks more Dwemer now, but when I get further along, it'll start taking on a more hybridized appearance. Autotower is also going to sit inside a pool of hot oil, and slowly rotate. nice tower. I like the first one too. Will the new tower be similar to the old one? 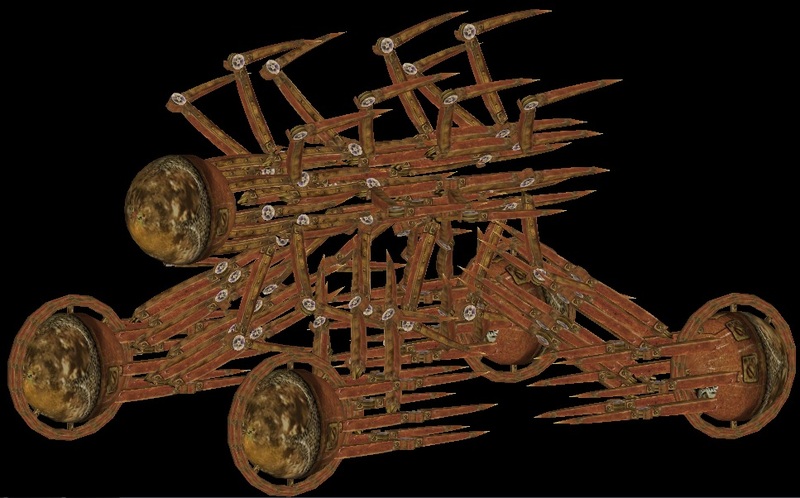 A running theme inside Autotower is going to be "things that combine into other things", one of which being this Centurion Spider Cruiser here. Basically it just wheels itself around and looks weird. I agree, fits well with your bone monster and the doom train pic you shared above. If you like that, you're going to love Leggo-My-Eggo's Stick of Discipline.